András Bíró-Nagy is Director and Co-Founder of Policy Solutions. Previously, he worked at the European Commission as political adviser to László Andor, EU Commissioner for Employment, Social Affairs and Inclusion. 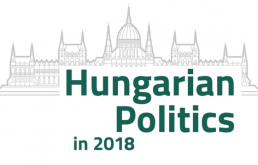 He is Research Fellow at the Hungarian Academy of Sciences, Lecturer at the Corvinus University of Budapest and Board Member of the Hungarian Political Science Association. 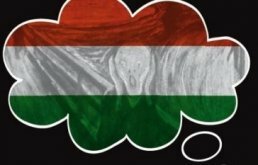 He comments regularly on Hungarian and European politics both to Hungarian and international press. His publications mainly focus on Hungarian politics, radical right parties, contemporary social democracy and the politics of the European Union. András Bíró-Nagy holds a PhD in Political Science from the Corvinus University of Budapest, and an Msc in Public Policy and Administration from the London School of Economics. Tamás Boros is Co-Founder and political analyst of Policy Solutions. He is also member of the Scientific Council of the Foundation for European Progressive Studies (FEPS). Leading news channels have invited him on their programmes as a political commentator, while he also frequently gives interviews to prominent international newspapers (e.g. Financial Times, The Economist). His publications and articles mainly focus on the state of democracy, right wing extremism and populism. He previously worked as a specialist in EU communications for the European Commission and the Hungarian Ministry of Foreign Affairs. He had also served as the director of the Pillar Foundation, a non-profit organization promoting European values, for four years. Senior analyst at Policy Solutions. Previously he worked as an analyst at the Prime Minister's Office and at Hungarian think tanks. He studied in the United States and received an MA in International Relations from the University of Chicago and a BA in Social Studies from Harvard University. He speaks English and German fluently and has a basic understanding of French.